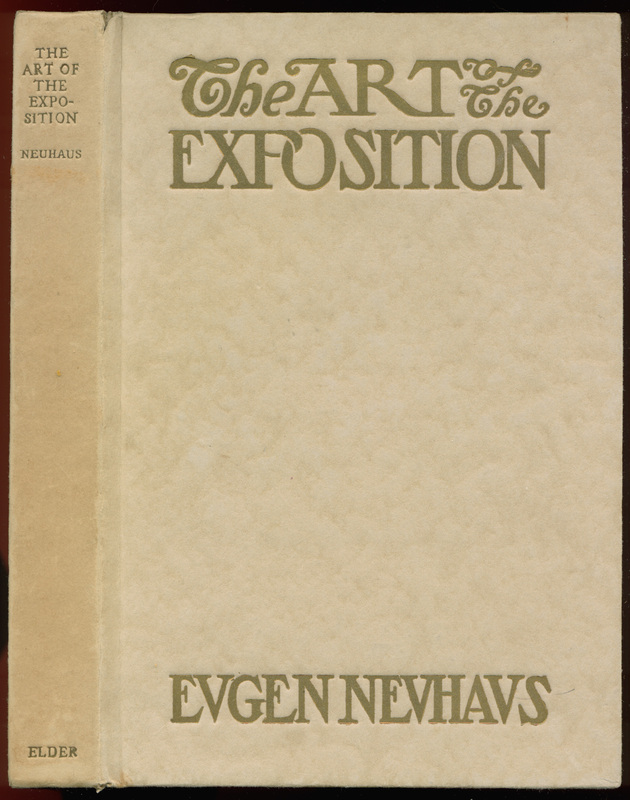 Dust jacket of “Art of the Exposition.” At the bottom is Eugen Neuhaus’s name spelled with pseudo-Latinate Vs instead of Us. 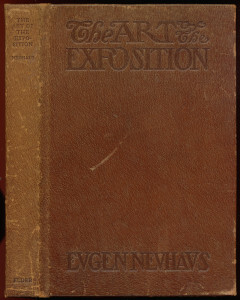 Eugen Neuhaus called his book The Art of the Exposition, but it might more accurately be titled The Art Critic Goes to the Fair. Neuhaus walks through the whole complex, giving us his impressions. The following pages have grown out of many talks given during the year by Mr. Neuhaus to his students at the University of California. 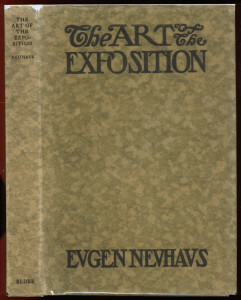 Presented to the public in the form of a series of evening lectures at the University, and repeated before many other organizations through California, his interpretation of the Art of the Exposition roused a demand for its repetition so widespread as only to be met by the aid of the printing press. The first half hour after the close of day, as enjoyed around the lagoon, with the Fine Arts Building in the background, reflected in the waters, will linger forever in the minds of all who are privileged to see it. Such blues I have seen only in pictures by Maxfield Parrish. Combined with the rich gold of the colonnade, they are almost supernatural. The whole effect, as relfected in the placid surface o the lagoon, occasionally broken here and there by a slowly moving waterfowl … is inspiring, and must awaken an aesthetic response in the soul of the most ordinary mortal. 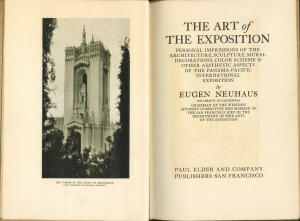 The first four sections were covered in more detail, by other authors, in separate volumes from Elder: The Architecture & Landscape Gardening of the Exposition, and The Sculpture and Mural Decorations of the Exposition. 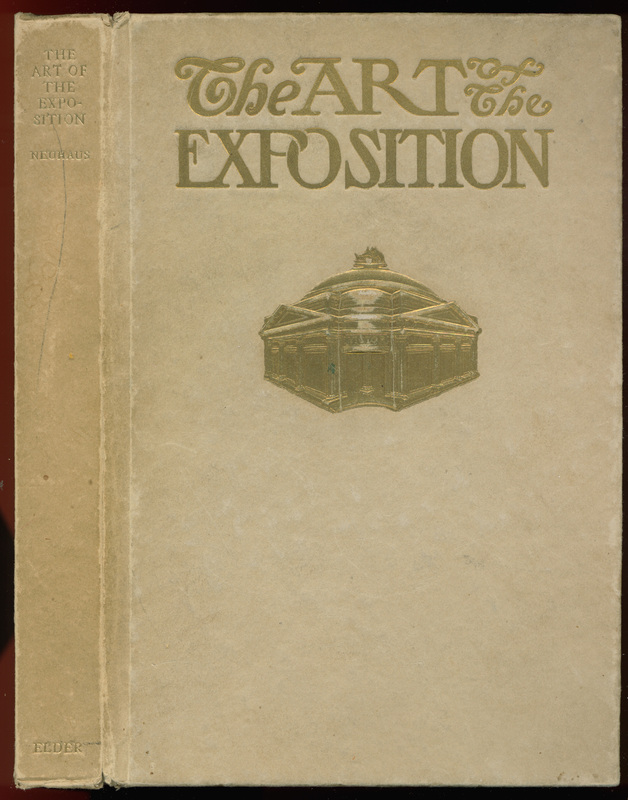 Along with The Galleries of the Exposition, the four books make a nice set of identically bound PPIE books for your library. [The Zone] is invaluable, however, as an object lesson in showing the fatal results of the utter disregard of all those fundamental laws of balance, harmony, and unity so uniformly and persistently applied through the seriously designed main body of the Exposition. There is no harmony whatever in the Zone anywhere, either in the form, style, or color, unless it be the harmony of ugliness which is carried through this riotous mêlée of flimsiness and sham. Karl Eugen Neuhaus was born in Barmen (now Wuppertal), Germany on 18 September 1879. He studied at the Royal Art School in Kassel and the Berlin Royal Institute for Applied Arts, and came to San Francisco in 1904, where he setup a studio across the corridor from William Keith. After being burned out by the earthquake and fire in 1906, he lived in Monterey and helped found the Del Monte Art Gallery. In 1908, Neuhaus became head of the Art department at University of California, Berkeley, a post he would hold for over forty years. At the PPIE he was Chairman of the Western Advisory Committee and was a member of the San Francisco Jury of the Department of Fine Arts; he exhibited six entries. He was a popular public speaker and wrote many books on art history. 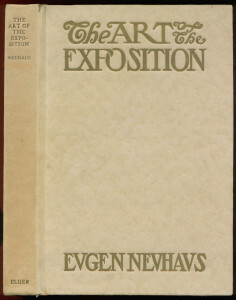 Neuhaus died in Berkeley, California on 29 October 1963. 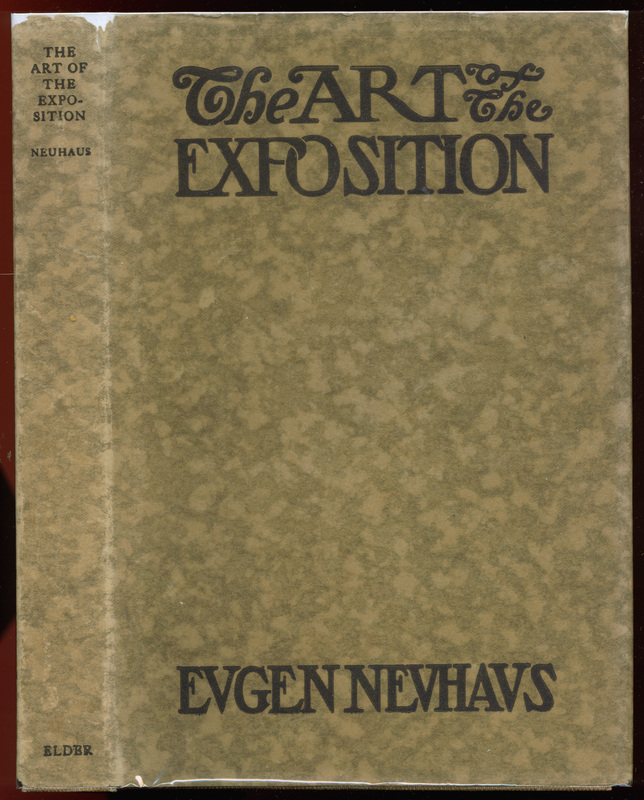 This book, one of eleven published in 1915 by Elder on the PPIE, was very popular and went into a fourth printing (very unusual for an Elder). 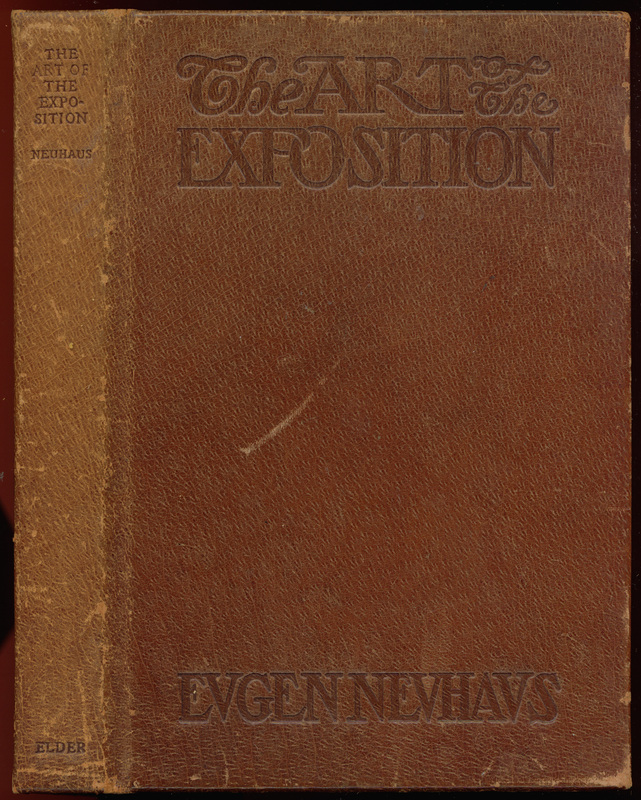 It was published in several bindings: beige paper on boards, buckram on boards, and leather on boards (see photos). 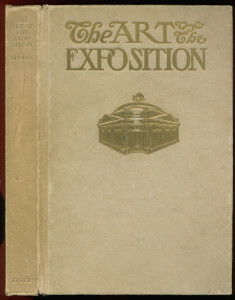 In addition, there was a special issue of Art of the Exposition from the Victor Talking Machine Company (famous for the dog Nipper and the slogan “His Master’s Voice”), consisting of a modified cover and a sixteen-page insert opposite page 1. The insert commemorates a meeting of the National Association of Talking Machine Jobbers and guests of the Victor Talking Machine Company, held on Saturday 24 July 1915 at the Victor Temple at the PPIE, then the next day at Muir Woods on Mt Tamalpais. 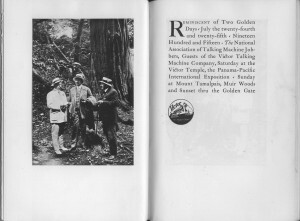 First page of the 16-page insert in the Victor special issue.